It’s the month of goblins and ghosties! 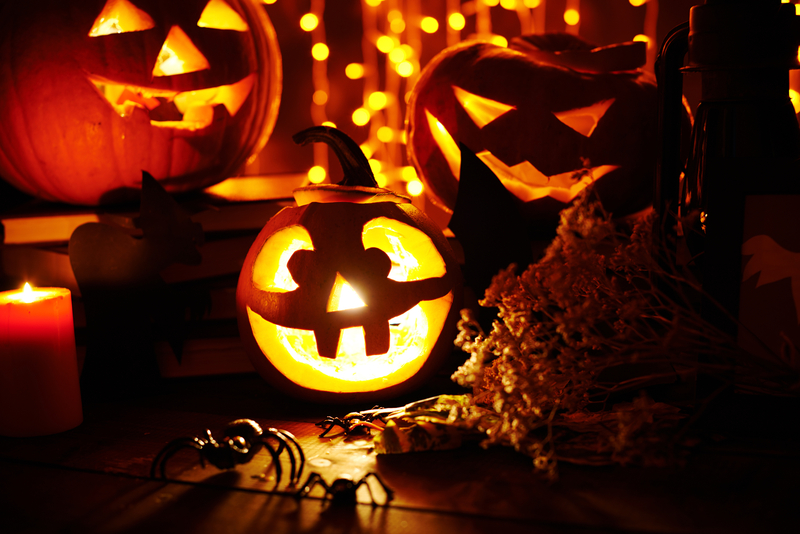 Halloween is the perfect holiday to show off your yard, as neighbors and their children don costumes and skip door to door to fill up on treats. Usher in the autumn season and get your garden looking delightfully spooky with these DIY yard decorations that we absolutely love! Gourds are a well known symbol of fall. Besides using this hearty vegetable in soups, they can also be used for creative inspiration as well. Add a bit of horror to your patio by transforming gourds into ghouls! Take a gourd and paint it completely white. Use black paint to apply a scary face. If you want to get fancy, drape the gourd in a veil of white gossamer fabric. Voila! This is a fast and easy DIY project that’s great for kids to do as well. Check it out at House of Hawthornes. Rustic and low key, all you need for this twiggy garden ensemble are several small twigs and a big stick, which you can easily find during a walk in the park. Use some twine or rope from the local craft store to tie the smaller sticks together at the end of the big one, and that’s it in terms of assembly. The best part about this DIY craft? It costs nothing, if you don’t need to purchase string! You can find step-by-step instructions at Over The Big Moon. A string of lantern lights undergo a chilling transformation when you turn them into little ghosts and hang them up in your outdoor living area. You only need a handful of supplies to craft this yard decoration- most of which you can find in your own home. Simply cover each individual paper lantern shrouded light bulb with a square of white cotton fabric, tie off the bottom to create a ghostly figure and use a black marker to draw a face of terror for completion. At night, flip the lights to see a gathering of ghosties floating in your garden! Follow the tutorial at Taryn Whiteaker.